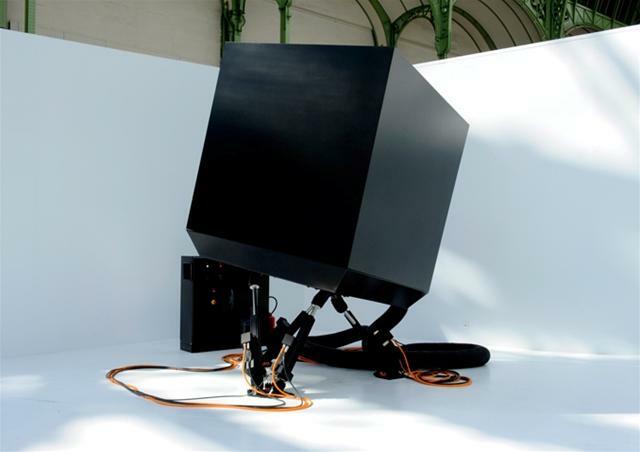 Mistral hexapod is a dynamic system providing 6 degrees of freedom (6 DOF). 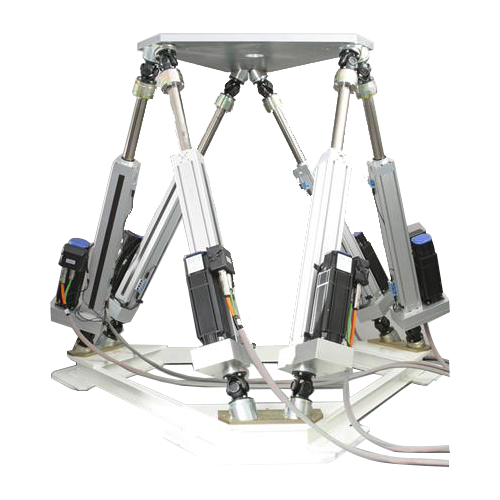 With efficient mechanical components, Mistral hexapod allows motion generation for up to 1 ton loads with important linear and angular travel ranges (up to ±460 mm in linear travel and ±40° in angular travel). 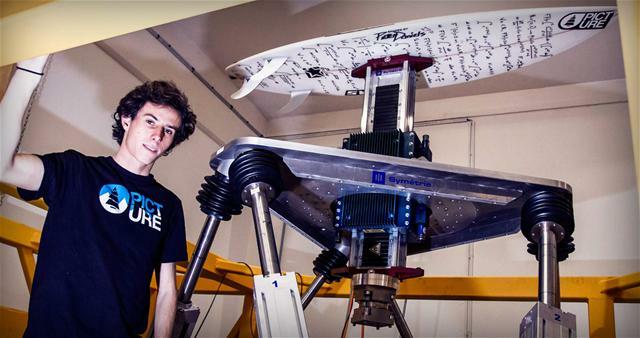 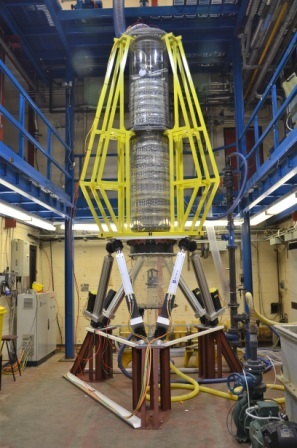 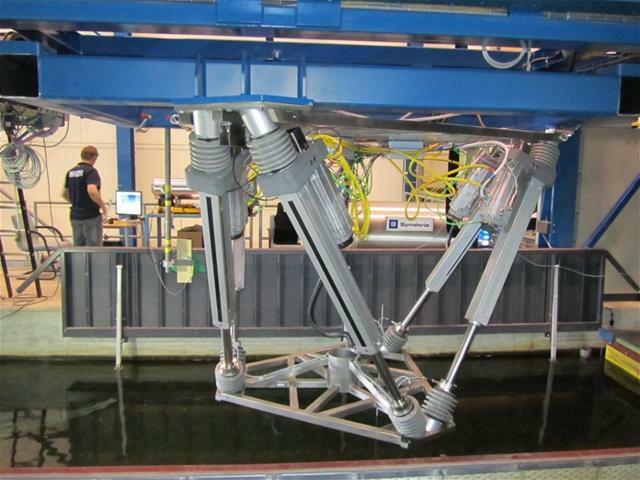 This hexapod was first designed to realize a heave motion to test boat hulls. 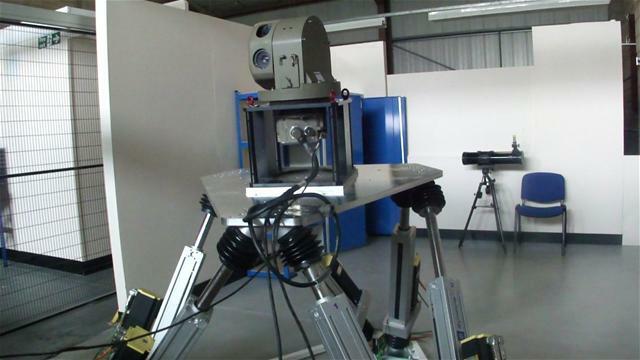 Mistral hexapod can also reproduce the trajectories of land, naval or air vehicles and thus allows lab testing of sensors that will then be put onboard.